When it comes to number of benefits, apple cider vinegar tops the list of natural products that every homesteader or prepper should know about. Why? When SHTF, access to modern medicine as we know it would dwindle or be almost impossible. Knowing how to use natural products for various purposes is always a very useful survival skill to have. So, what are the health benefits of apple cider vinegar? Emergency preparedness and prepping aside, many of you may have noticed that apple cider vinegar has been growing in popularity these days because of the benefits one can get from using it. As a matter of fact, my research on the benefits of apple cider vinegar begun when I was looking for child friendly natural substances for a variety of uses. It is made from pressed organic apple juice. It undergoes two processes of fermentation in which natural processes take over to produce life giving nutrients and enzymes which makes it so uniquely beneficial and special. Mixing 1 tablespoon of apple cider vinegar with 4 ounces of water is an effective remedy for heartburn when taken after a meal. I’m not saying that you should ditch your heartburn medications. But it is always good to know that you have an alternative when you ran out of them and can’t get more. Taking apple cider vinegar regulates and improves the digestive system’s function, thereby improving bowel function and helping to flush out toxins from your body. When SHTF and your beloved pet doesn’t have any more anti-flea shampoo, you may use some apple cider vinegar mixed with an equal amount of water to spray over your pet’s coat. It cleanses the coat, makes it shiny, as well as repels fleas. Okay, this may not go well for girls, but in the event that you run out of your facial toner or your conditioner, you can absolutely use diluted apple cider vinegar as a part of your beauty routine. Where Do the Benefits of Apple Cider Vinegar Come From? It contains natural substances which have superb effects. Potassium is present, which prevents hair loss and helps maintain strong teeth. It has pectin, which reduces bad cholesterol and helps regulate blood pressure. The malic acid in apple cider vinegar makes it an effective anti-fungal and anti-bacterial solution. The acetic acid in it slows down starch digestion, thereby helping in regulating blood sugar levels. All of these contribute to the top benefits of apple cider vinegar, and there are many more. To get the top benefits, using raw apple cider vinegar is better than using the filtered or processed product. 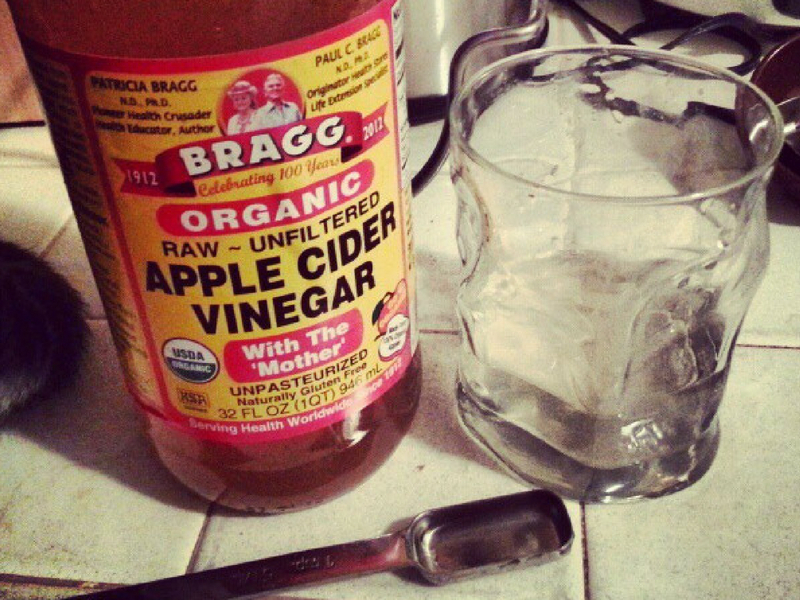 Raw apple cider vinegar has not undergone pasteurization and thus have retained the most benefits of ACV. 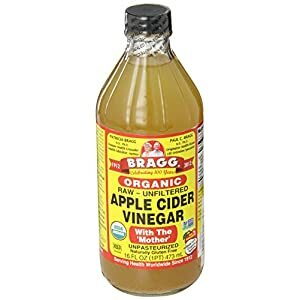 An example of this type of ACV is Bragg’s. Depending on the purpose, you can take ACV topically or orally. When using raw apple cider vinegar like the homemade variety or Bragg’s brand, you would want to make sure that you’ve shaken it first to get the goodness from the natural precipitate at the bottom. 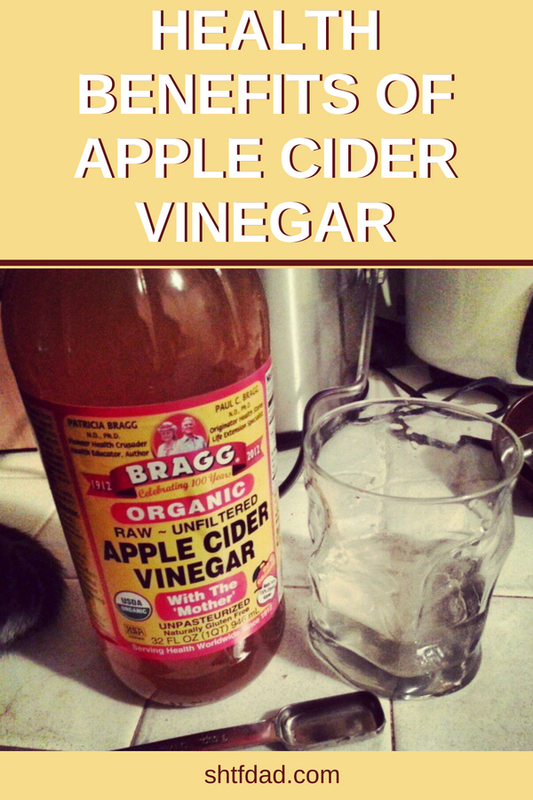 For general oral use, you may mix it in a ratio of 32 ounces of water for every 1 tablespoon of ACV. Use this water as you would any normal drinking water. You can make lemonades with it or just add honey or agave for a refreshing drink. Did you like this SHTF Dad health and medical tips article on the benefits of apple cider vinegar? Share the knowledge and like our Facebook page to get updates and more SHTF tips from us!